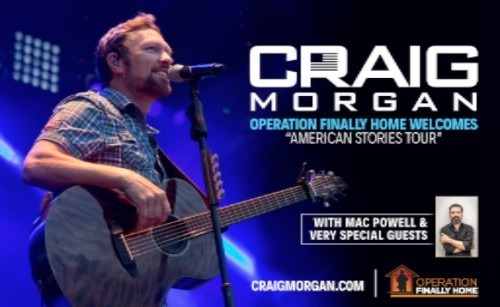 Country music entertainer, award-winning TV host and Army veteran CRAIG MORGAN will reprise his intimate, immersive storytelling and musical experience this fall with the return of Operation FINALLY HOME Welcomes “American Stories Tour” with Craig Morgan and very special guests. The unscripted shows, which include a variety of Craig’s music and military friends, celebrate American values through both song and storytelling. The limited-engagement tour kicks off in late September in Virginia and wraps on Veterans Day with a special celebration in his hometown of Nashville, Tennessee. Guests joining for select shows include songwriter Marla Cannon-Goodman (“The Fool,” “Rock On”), best-selling author (American Wife) and Veterans’ family activist Taya Kyle, songwriter/multi-platinum selling producer Phil O’Donnell (“Give It All We Got Tonight,” “Back When I Knew It All”), THIRD DAY front man and “Hearts I Leave Behind” duet partner Mac Powell, Medal of Honor recipient and author (Red Platoon: A True Story of American Valor) Clint Romesha as well as Craig’s daughter, singer/songwriter Aly Beaird. Tickets go on sale this Friday, June 16 at CraigMorgan.com. Twelve shows have been announced today with additional dates and guests revealed in the coming weeks. 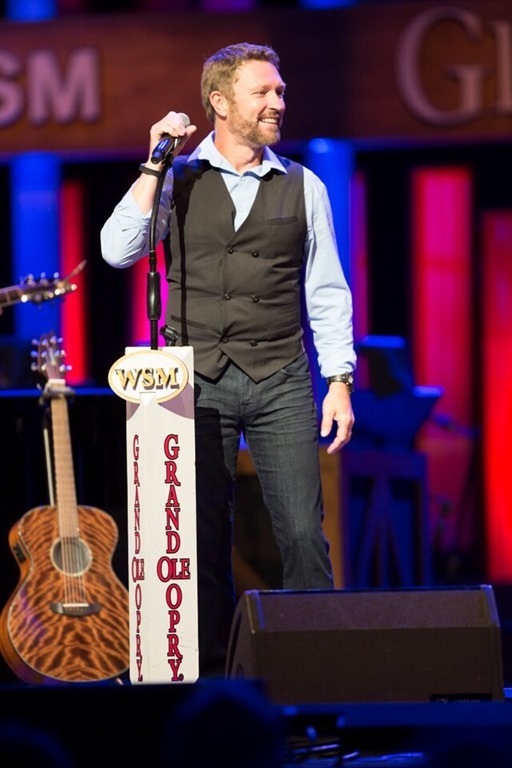 Get a preview of Craig Morgan’s “American Stories Tour” at YouTube.com/CraigMorgan. Named Operation FINALLY HOME’s 2017 Ambassador, Craig has partnered with the national non-profit to provide mortgage-free homes to veterans and their families from select dates during his 2017 tour. Declared “a mature record that, while not afraid to have a little fun, values poignancy over pop country,” (Rolling Stone Country) Morgan’s newest album A Whole Lot More To Me is available now and the eighth season of his award-winning TV series Craig Morgan: All Access Outdoors will debut on Outdoor Channel this summer.